Who’s your mentor? Jesus Christ, first and foremost. My faith drives everything in my life. Also, my father, Don Dwyer, the founder of our company. I look to every relationship I have as a learning experience. 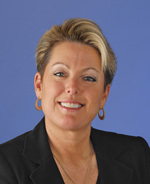 Other people I constantly learn from are Mary Thompson, the president of Mr. Rooter. She’d say I’m her boss, but I learn more from her. And the same goes for Mike Bidwell, our president and COO. He’s always teaching me things. What advice do you have for other people who, like you, have filled their parents’ shoes in business? Be you. Don’t try to be them. We’ll never live up to it. You’ve got to be you, and you can’t be afraid to say what needs to be said, respectfully. It’s been a year since your appearance on “Undercover Boss.” Would you do again? Yes. It was an incredible experience. Risky, but incredible. Were there any unintended consequences of being on “Undercover Boss?” Two things come to mind. One is we knew there would be uncomfortable things to address. Having a franchisee not following the system on national TV ended up being one of greatest benefits. Now it’s not just me and the team encouraging franchisees to follow our systems, it’s the consumer saying, “This is what we expect from The Grounds Guys or Mr. Rooter.” That’s going to help them be better franchisees. The other big thing is I’m shocked to have so many viewers who have contacted me personally to tell me how much they enjoyed it and what they learned from it. The Dwyer Group’s Code of Values is close to your heart. Which one of the values is your favorite? I think more often about the ones I need the most improvement on. That would be listening. I have a tendency to think about what I want to say next and not give the person the full respect of my attention. How does a small company implement its own set of values? It’s almost easier when you’re small. If you’re the leader, you’ve got to be the one who’s leading by example. If you’re asking the team to do something you’re not willing to do, they’re not going to buy into it. If you haven’t yet created a set of values, get your team involved. Or, if you’d like to use ours, that’s great. We just ask that you give us credit if you put them in print. Visit the Web Extras section of LandscapeManagement.net to view The Dwyer Group’s Code of Values. I’m not reading anything right now, but I’m always listening to a spiritual or business book on summary. Right now it’s a Les Brown program that’s educational and motivational about managing change. Turkey and dressing, because it reminds me of holidays and time with family and friends. The Cayman Islands. That’s where my father passed away, actually. It was his favorite spot, too. As a family, it’s one place we can really relax. My next favorite is Deer Valley, Utah. “I love life.” I just try to make the best of everything.